NYERI, Kenya (CNS) — When the Rev. Peter Njogu was ordained a Catholic priest in 1989, he had made up his mind to be celibate for the rest of his life and serve God. But little did he know that 13 years later, all of that would change. In 2002, Rev. Njogu was charged by the Diocese of Nyeri of having a girlfriend, whom he had met while serving in Italy. He fervently denied the allegations, though he now admits it was true. Rev. Njogu was formally excommunicated by the Vatican months later and joined the Renewed Universal Catholic Church as a bishop after being consecrated by former Zambian Archbishop Emmanuel Milingo. The splinter church at odds with Rome allows priests to marry and continue ministering. Rev. Njogu later married Berith Karimi Njogu, his longtime girlfriend. Rev. Njogu has since been meeting with priests at the Christ the King Major Seminary in Nyeri and across the country to urge them to abandon priestly celibacy, join the splinter group and get married if they desire. His campaign has yielded fruits. The Renewed Universal Catholic Church has more than 15 priests who have abandoned priestly celibacy and gotten married. The church has dioceses throughout Kenya with priests who have left the Catholic Church being in charge of the breakaway church. The debate on celibacy for Catholic priests was reignited last year by Pope Francis when he told a German newspaper that he was ready to study exceptions to the church’s celibacy rule especially in isolated communities where there is a shortage of clergy. But the pope ruled out making celibacy optional. “Voluntary celibacy is often discussed in this context, especially in places where there are shortages of clerics. But voluntary celibacy is not a solution,” the pope said. However, this has not stopped priests from abandoning their call to serve in ministry and get married. Recently, three married priests who had earlier been in the mainstream Catholic Church were ordained for service in the splinter church by Rev. Njogu, now an archbishop in his church. The Rev. Mathew Theuri, 70, said he was tired of pretending to be celibate and decided to marry to save his family, which he was hiding for fear of excommunication. He now openly lives with his family and he said he can freely serve God. “I decided to get married because I didn’t want my children to continue suffering. I’m happy because I have been given another chance to serve God,” he said. Some priests who are still serving in the Roman Catholic Church said the issue of celibacy still was a great challenge to many clergy in Kenya and around the world. One priest who asked not to be named said if given another chance, many priests would choose to marry and at the same time serve God. 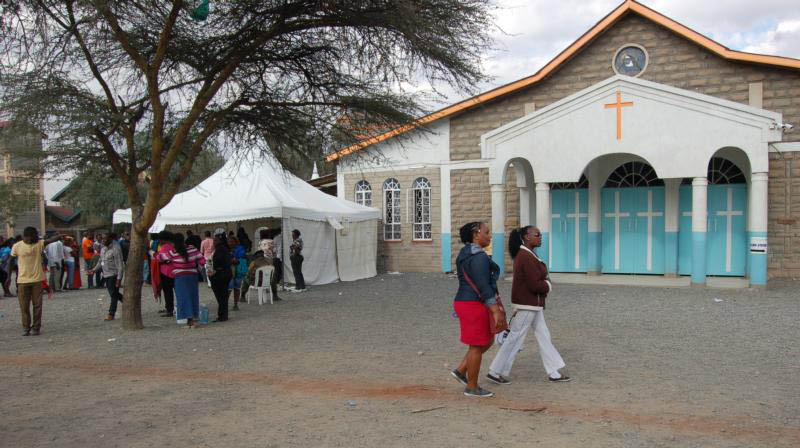 However, Bishop Philip Anyolo of Homa Bay, Kenya, chairman of the Kenya Conference of Catholic Bishops, said the church was not threatened by the few defectors. He reminded priests to remember what they have been called to by God. “We are not worried at all. They are now not Catholic priests and they can go ahead and do whatever they want. But once you are a Catholic priest, there are rules to follow,” he said. Rev. Njogu dismissed Bishop Anyolo’s comments, saying many priests have been calling him expressing interest in joining the Renewed Universal Catholic Church. He said some of the men he has spoken with were afraid to leave the Roman Catholic Church because of the privileges that come with priesthood such as good housing, vehicles and job security. No man can serve a family and a parish well; one will suffer neglect. There’s a 50-50 chance a priest’s marriage will end in divorce. Should the Church change its teachings on divorce and remarriage to accommodate our clergy? Will priest or bishops be able to grant themselves annulments? I hope the Church thinks long and hard about this issue and its ramifications.